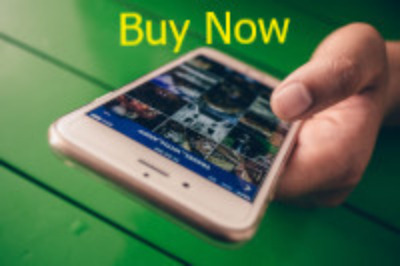 You may click on the BUY NOW button below to go through ClickandPledge.com's secure check out process. Gift Shop items are below donation opportunities. 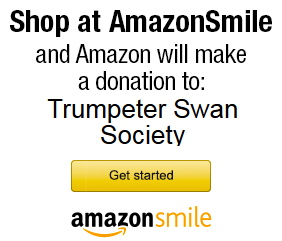 Support TTSS every time you shop on Amazon! YES! 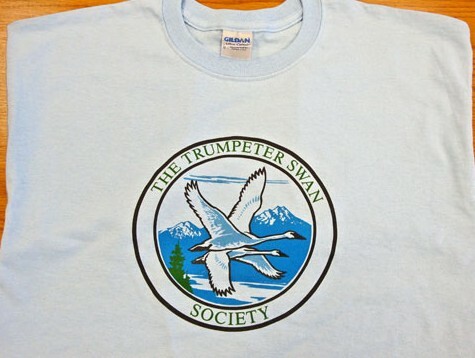 I WANT TO HELP TRUMPETER SWANS! Gift Shop items are below donation opportunities on our Click and Pledge page. Consider a gift membership or a tribute gift in honor of a person or an occasion like a wedding, birthday, or graduation! Below are some of the items in our Gift Shop through our Click and Pledge store (begins below donations). 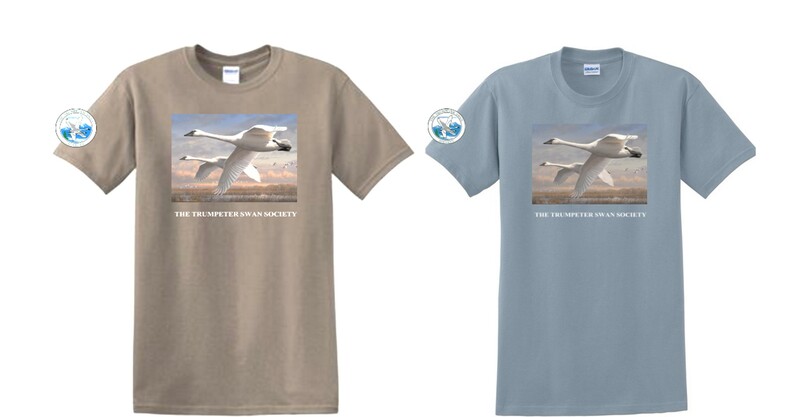 Your purchase supports Trumpeter Swan conservation. Order online or print and mail in the form. 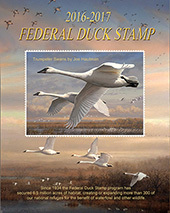 Signed by Joseph Hautman ~ Created by Joseph Hautman ~ This poster features Joseph Hautman's award winning 2016-2017 federal Duck Stamp design of Trumpeter Swans flying over a peaceful wetlands scene. Poster size 16" x 20". Jess Lee has made one of his finest shots available exclusively to TTSS as a limited edition print. Print size 12" x 18". Price includes shipping. Painted by James A. Meger ~ This magnificent print of three Trumpeter Swans in flight over a large wetland was published to benefit the swans by supporting the Society. Print size 33" x 18". Painted by Jim Hautman ~ A warm painting of a solitary Trumpeter at rest during spring migration. Print size 12" x 18". 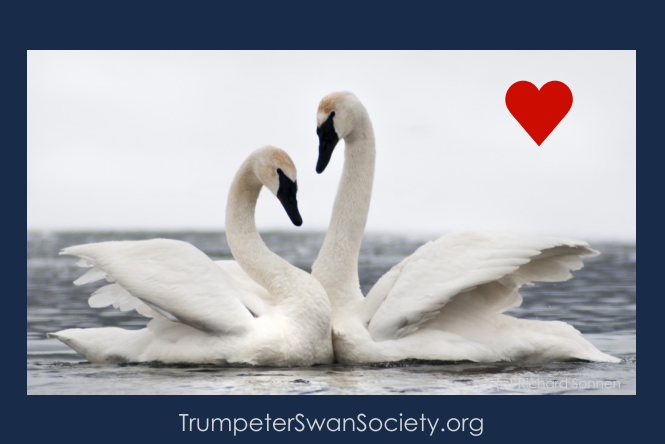 These beautiful Trumpeter Swan cards are perfect for any occasion. 4.25"x 5.5", blank inside, with envelopes. 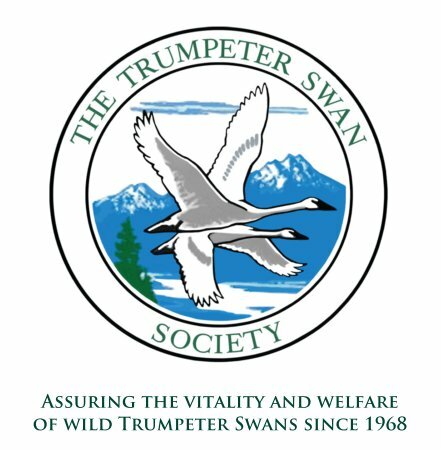 A DVD with spectacular photography tracking one year in the life of Trumpeter Swans in Yellowstone National Park region. Produced by Trailwood Films & Bob Landis. Joseph Hautman's winning 2016-17 Federal Duck Stamp image. Savanna Brown and Stone Blue are customer favorites. TTSS logo on right sleeve. 100% cotton. Price includes shipping in USA. Joseph Hautman's winning 2016-17 Federal Duck Stamp image. Savanna Brown, Stone Blue. TTSS logo on right sleeve. 100% cotton. 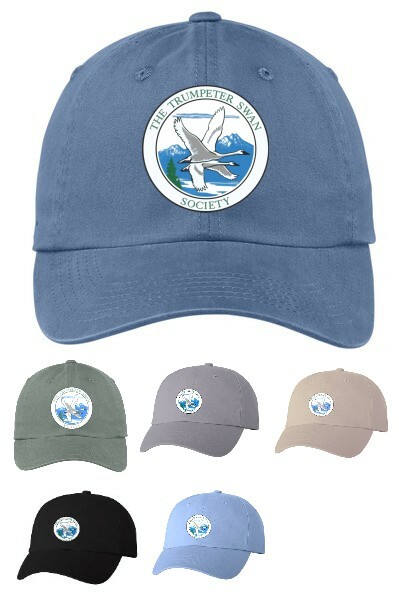 Trumpeter Swan Society embroidered logo cap. 100% bio-washed twill, with self fabric buckle back. One size fits all. 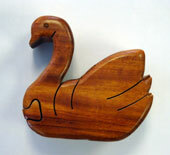 Unique hand-crafted hardwood swan puzzle box. Made in Costa Rica. Hidden inner felt-lined box is perfect for jewelry and other small keepsakes. Heartwarming and beautiful, this 3.7" x5.5" "Swan Love' refrigerator magnet with heart icon showing your love of swans. Navy blue border. Photograph by Richard Sonnen. 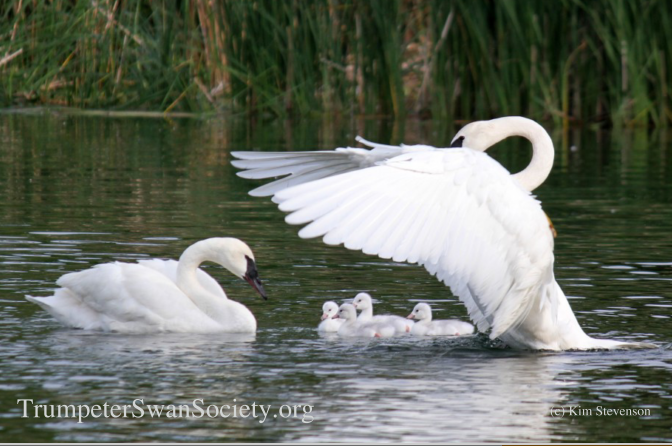 In 2018, TTSS celebrated 50 years of swan conservation. 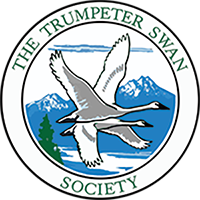 This decal shows your support of our mission to assure the vitality and welfare of wild trumpeter swans. Adhesive decal, 4"x4". Perfect for your car window or bumper. Price includes shipping. "Keep Wildlife Safe. Please use non-toxic fishing tackle." Perfect for your car, boat and tackle box to help spread the word using non-toxic fishing tackle! Adhesive, waterproof, estimated two year life. 4" X 4" Price includes shipping. "Lead Kills. Please use non-toxic fishing tackle." Perfect for your car, boat and tackle box to help spread the word using non-toxic fishing tackle! Adhesive, waterproof, estimated two year life. Features TTSS website. 4" X 4" Price includes shipping.